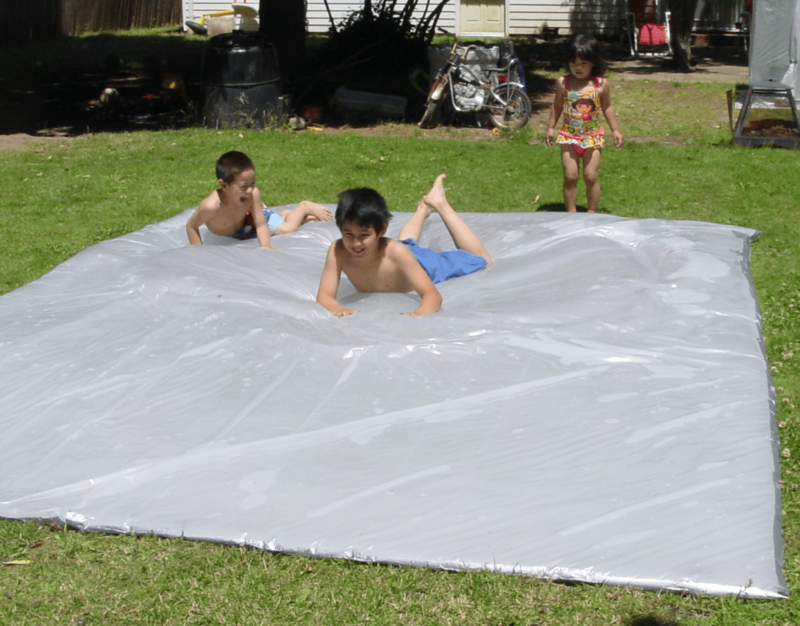 A water blob is nothing but a big piece of plastic sheeting filled with water and sealed at the edges. It makes for a cool and dry playing surface. 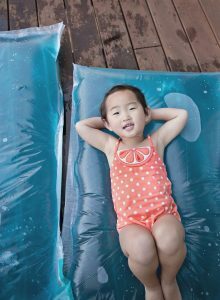 Toddlers would love the activity on warm summer days, though older kids can also jump in. 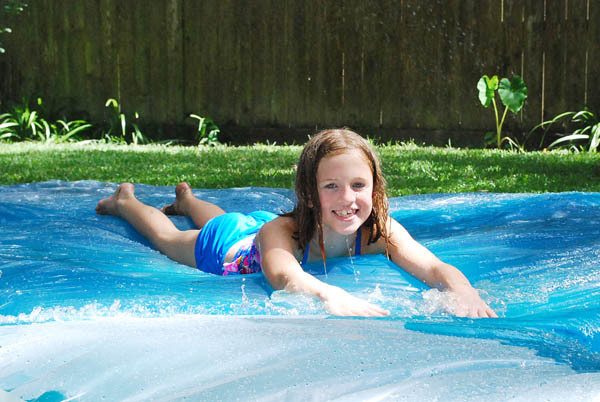 However, it is important to keep it leak-proof for ensuring a long and enjoyable playtime. 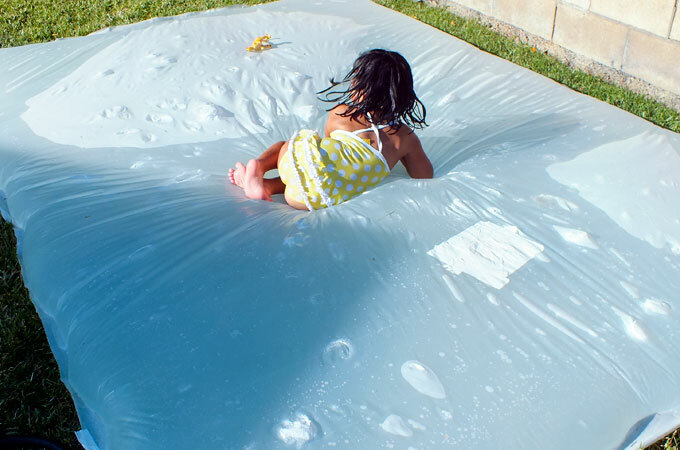 You can make a brilliant water blob by ironing the edges of a 4 mm thick plastic sheet that are covered by parchment paper. You can choose a 10’ X 25’ size for the kids to have a blast on. Mini water blobs as guided in the above-linked tutorial, come with a lot of advantages. They are easier to iron than the larger ones, faster to fill up with water and each kid has his personal water blob to play with. This one is done with a plastic sheet, water hose and duck tape as supplies. 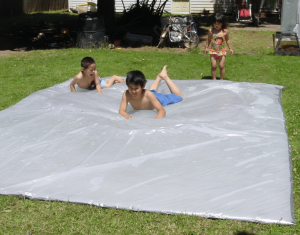 In the first step, you would need to place the plastic on flat ground and fold it in half. For the remaining instructions, just click on the link above. You can lay this fun water blob in your backyard for your kid’s birthday party. It would be fun to watch the little ones play on it. 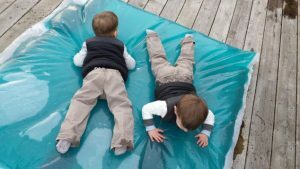 Children would love to play on these during summer. It can keep them engaged for hours. 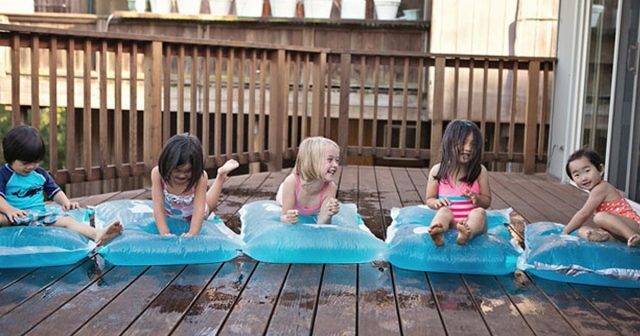 Make it more interesting by splashing some water over the water blob. Who wouldn’t love to have a splash? 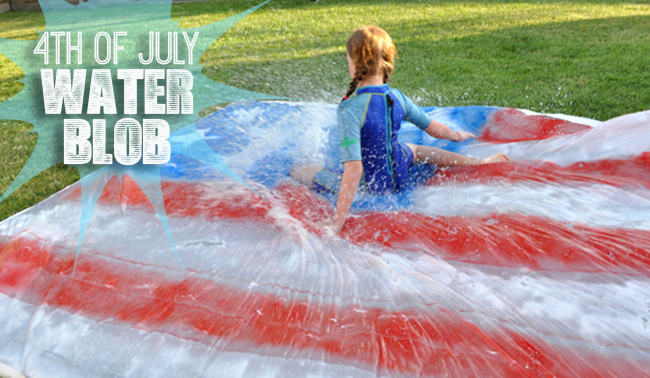 You can turn on a sprinkler above the blob to make it resemble a fluffy slip and slide. 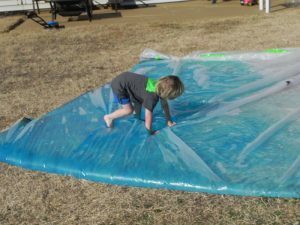 The main materials are a large roll of plastic sheeting, a water source and duct tape. 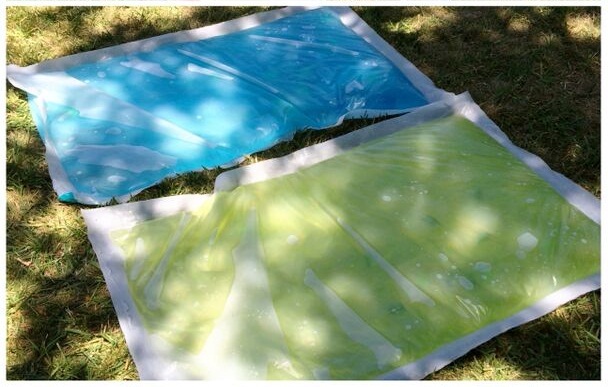 This leak-proof water blob is made with painter’s tape. 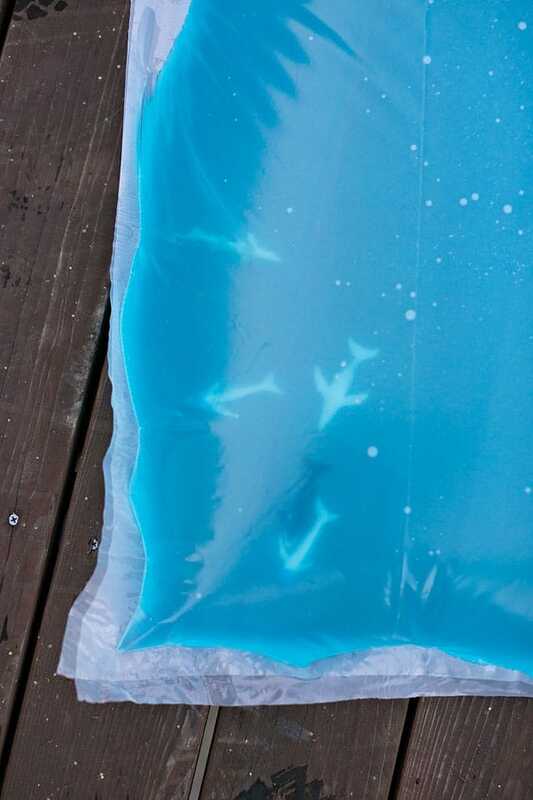 It owes its blue look to the coloring added to the water. 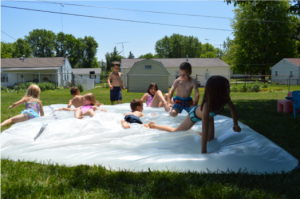 In the above-linked webpage, check the post dated Apr 25, 2014 and titled, DIY Reusable Water Blob, to get the instructions for building a great water blob. We are sure children wouldn’t be able to get enough of these once they set foot on them. 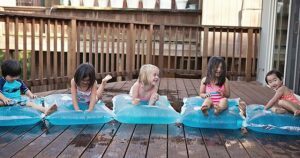 The squishy structures get all the more playful with toys and glitter added to the water. However, steer clear of hard toys with sharp edges as those could hurt the children and even spring a leak in the water blobs.